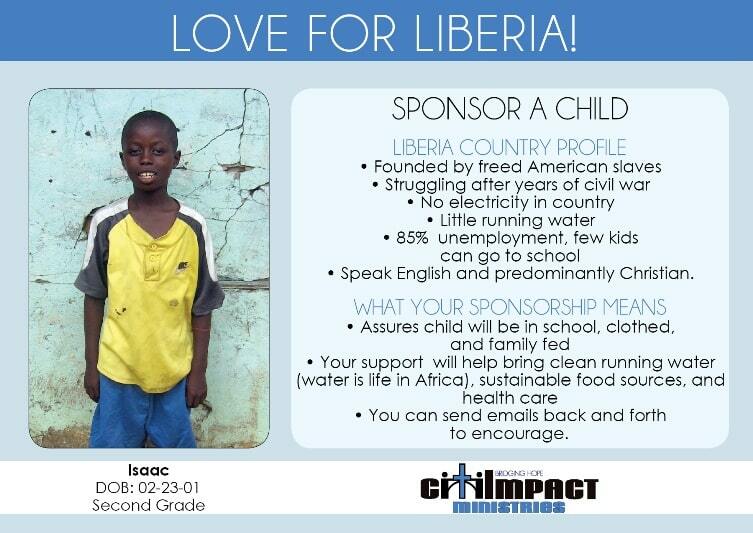 Our sponsorship program is currently focused on the country of Liberia. Since 2011 CitiIMPACT has been active in Liberia, building relationships with pastors, families, and local leaders. Through that over 50 children have been sponsored across Liberia, and two boys have graduated! For just $35 per month you can make a huge difference in the life of a child AND they will make a difference in yours! Learn more from our Frequently Asked Questions.